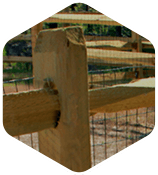 Allison Fence company is proud to serve communities throughout the Carolinas. We have achieved success by following a simple business model: provide the best possible products and excellent customer service. As a result, we have been able to offer local communities like Davidson, North Carolina personalized services that you would expect from a local company along with the reach and resources of a larger brand. Our Davidson location allows us to easily serve those in the Charlotte metropolitan area and help home and business owners enjoy the absolute best in fencing solutions and installation services. It doesn’t take long to understand why so many people, including Allison Fence Company, are drawn to Davidson and happy to call it home. The small town is located just 20 minutes north of Charlotte. This allows residents to visit The Queen City for sporting events and entertainment while still enjoying the quiet, natural setting of Davidson. Davidson is also one of many cities that line the shores of Lake Norman. This man-made lake was constructed beginning in the 1950s by Duke Energy and now provides an extensive recreation area that is a distinguishing characteristic of this part of the state. In addition to Lake Norman, there are several other large parks and nature preserves, including Roosevelt Wilson Park and Fisher Farm, that offer hundreds of acres that are perfect for outdoor activities. Those who love watersports, hiking, camping and the outdoors have built gorgeous homes throughout Davidson and we have been there to help them secure and beautify their properties. While the Research Triangle is known for being an innovation hub and home to a long list of prestigious colleges, Davidson boasts its own intellectual landmarks, including Davidson College. This small, liberal arts college offers a beautiful campus along with an impressive athletics program that has garnered national attention. The college provides plenty of opportunities for residents to attend lectures, plays, games and other events that are a welcomed part of living in a vibrant college town. With so much going on in the area, Davidson also serves as an excellent place to run a small business and Allison Fence is more than happy to meet local commercial fencing needs. 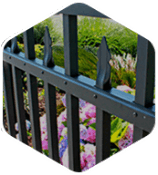 We understand the challenges that come with securing and protecting inventory and facilities, which is exactly why we provide the latest in customized fence and gate solutions. Our commercial fences are designed to be strong, durable and allow you full control of who has access to your property. 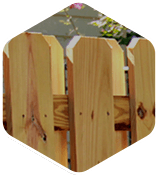 Most residential and commercial fencing projects begin with a practical objective, but that doesn’t mean that you can’t also enjoy truly beautiful fence that compliments your property and improves curb appeal. Whether you want to increase privacy and security or simply keep your pets safe, we offer a wide range of solutions. 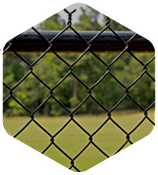 From chain-link fences to steel, vinyl, aluminum, wood options, your design and material choices are practically limitless. Add decorative details for an added level of sophistication or opt for a more understated approach; the choice is yours. If you are looking to add or upgrade an existing fence around your home or business, make Allison Fence Company your first and only call. 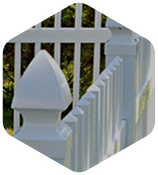 We are happy to meet residential and commercial fencing needs in and around Davidson and help our customers experience the best in fencing materials and installation best practices. Contact us today to get started on your fencing project. With our convenient Davidson location, we can offer fast, reliable and personalized service to meet your needs. We look forward to meeting you and learning more about how we can help.